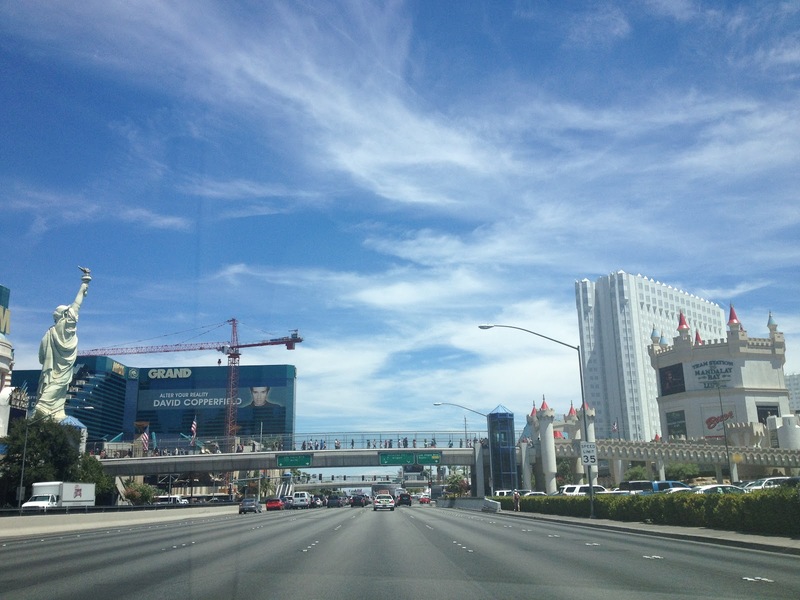 During the last weekend in July, I finally went to Las Vegas. It took 22-years and a 4-hour road trip to get me to “Sin-City”. There was definitely no trepidation or hesitation on my part to travel to Las Vegas. I’ve had chances to go to Vegas a couple of times the past year, but work or school generally interfered. With my math final complete the previous Thursday morning and with an invitation to my friend’s bachelor party, I decided to go. I was eager to celebrate my good grade in a grueling class and almost 2-months of 80-hr weeks. I knew all but one of the guys in the group and that made the whole idea even more appealing. My only goal for the weekend was to return home unmarried. Considering that I was successful in that regard, I was happy. Lunch was at Hooters where we got to see a wing eating contest. My friends were eager to get me involved in the contest, but I had no interest in greedily stuffing my face in front of random strangers. For the bachelor party dinner we had reservations at Gallagher’s Steakhouse in the New York New York. It was a classy restaurant with horrible food. I’ve never eaten a more tasteless expensive dinner. From the New York New York, we headed out in a party bus to a club for part of the evening. After a couple of hours, we took a limo to the Hard Rock Hotel, where we scored free access to the Vanity Nightclub. It was an awesome club. My friends knew the DJ and he was playing a cool mix of old school rap and hip-hop. For our night out on the strip, my two friends and I rocked full suits and ties, garnering the attention and compliments of the ladies. Our night ended with an exorbitant ride back to our hotel, where I promptly crashed. The casinos are amazing buildings both inside and outside, and I am glad that I went.